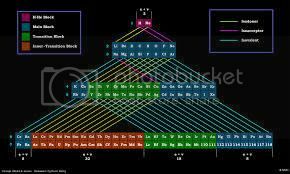 The Periodic table of elements may be arranged in 3 dimensions as a stepped pyramid. Each chemical element is represented as a cubic block. The Janet Periodic Table aka the “Left Step” Periodic Table may be re-arranged into four square matrices. Each matrix is a different size. Each cell within a matrix represents an atomic element. A cell may be represented in 3 dimensions as a cube. The matrices may be stacked vertically so the “cores” (2x2 cells) are aligned vertically. The result is a “stepped pyramid” (Pyramid Table). One element is associated with each cube. The location of any cube within the structure is defined by location numbers. The atomic number of any element is a function of the location numbers of the corresponding cube. 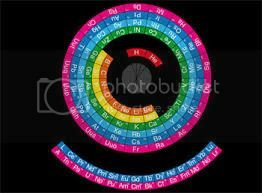 Each element has a defined position within the pyramid structure. Vertical “slices” through the table give interesting chemical relationships. RichardKingstone, you actually refer to a three dimensional model though. How would that make it easier for students and professionals as the periodic table is better examined in a 2D format as in the face of a page..? You ask a good question and the answer seems to be that chemists prefer the 2D table (particularly the standard periodic table) because it places emphasis on the chemical properties of the elements. It may be that physicists and maths guys prefer the 3D table because they are interested in the energies and the structure of matter. RichardKingstone » Mon Apr 20, 2015 12:06 pm wrote: It may be that physicists and maths guys prefer the 3D table because they are interested in the energies and the structure of matter. Do you have any evidence that physicists and mathematicians do prefer it? Only a few emails that I have received from profs in France and USA. RichardKingstone » Tue Apr 21, 2015 4:30 pm wrote: Only a few emails that I have received from profs in France and USA. Were they reporting on informal observations they had made, or just expressing their personal preferences? Either way, as you know, anecdotal evidence is notoriously unreliable and prone to all kinds of bias. Its an interesting thought, but I'll remain skeptical for the moment.